You have probably been many times looking for providers by yourself to get import products from China, and the supplier has finally rejected you. That is why at IBMH we negotiate for you in the management of the Chinese supplier. In addition, we explain you why something like this can happen. When you receive a NO for an answer by a provider, we get a mixture of surprise and frustration. How can a supplier refuse a service to your company? Because you wanted to start with an order of test? Did you say something offensive? Importers must be very careful with providers, since a potential supplier could refuse to offer his services, in the event that you have neglected some important detail for them. Fortunately, if you are aware of the factors that tend to stop providers, you can move towards working together. Your order is too small: If someone asks you to choose between working one hour for $100 or for 15, which would you choose? Of course, we all prefer the first option. And although this is an example very simplified, the Chinese supplier could deny to give you a service if he has a similar mentality and the amount of your order is insignificant (for them). Any order which a Chinese supplier accepts has a costs just to accept it, so they must be sure that they receive benefits. Therefore, high hypothetical costs of your product may deter potential suppliers if there is no high margins or large amounts of orders ensured. The factory of production will have to assign resources for the creation, the review and the samples of those products. In addition, at IBMH we make sure that, if we hire a vendor, he is not working with sub-suppliers that have less quality than themselves. Therefore, a commercial company needs to invest to manage all. It is understandable that most providers prefer to go through this process once on a larger scale rather than many smaller orders. In this case, he considers the possibility of working with a smaller supplier. The last reason why they might reject you is that the supplier has an insufficient production capacity or does not have the technical team necessary to perform your order. 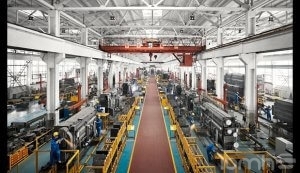 The best way to be sure about the production capacity of a potential supplier is to visit his factory. At IBMH we are experts in audits in factories and negotiation of requirements face to face. Our audits help you determine if a provider is right for you.